Midi Appliance Housing,1250mm high excluding legs. 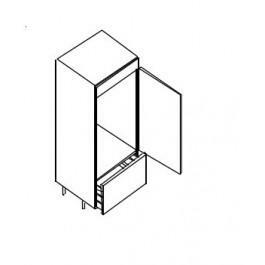 Requires 1 x pan drawer 285mm high, 1 x filler 115mm x 596mm and 1 x door 895mm high x 596mm wide. Includes BLUM Clip on Hinges and adjustable feet.